Delaware has long been a nearby holiday destination. With property and income tax rates in New York, New Jersey and Northern VA among the highest in the nation, many people can’t afford to stay in their homes after they retire. 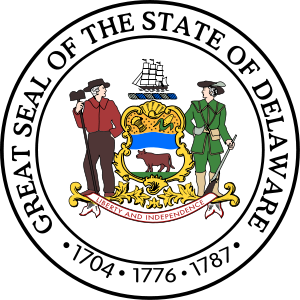 Delaware is a good alternative. The retiree exodus forced by escalating property carrying costs in the Mid-Atlantic and Northeast US will grow even bigger. While North and South Carolina are the most searched states of interest on http://www.LiveSouth.com (a retiree and relocation resource), by visitors, a surprising addition has made it into the top 5. Delaware, a longtime summer retreat, playground for weekenders from DC, Philly, New York and New Jersey, is becoming a popular retiree destination. LiveSouth.com analytics during it’s “peak” season April 1st – October 1st, 2010 revealed that nearly 250,000 unique visitors, chose a community within the following states (in order) as the top 5 when beginning their search. Retirees typically move south for a lower cost of living and warmer winter weather based on site rankings and migration trends. However, as with Florida and Tennessee, Delaware, the new number 5, has no state income tax, lower property costs and taxes which is why some are choosing to stay north. RPI Media, Inc, Live South and Ideal Living Magazine connect planned communities with prospective buyers and provides comprehensive resources for finding and comparing; golf, gated, waterfront, mountain, retirement, condominium and multi-family communities, through publications, real estate shows, and websites.